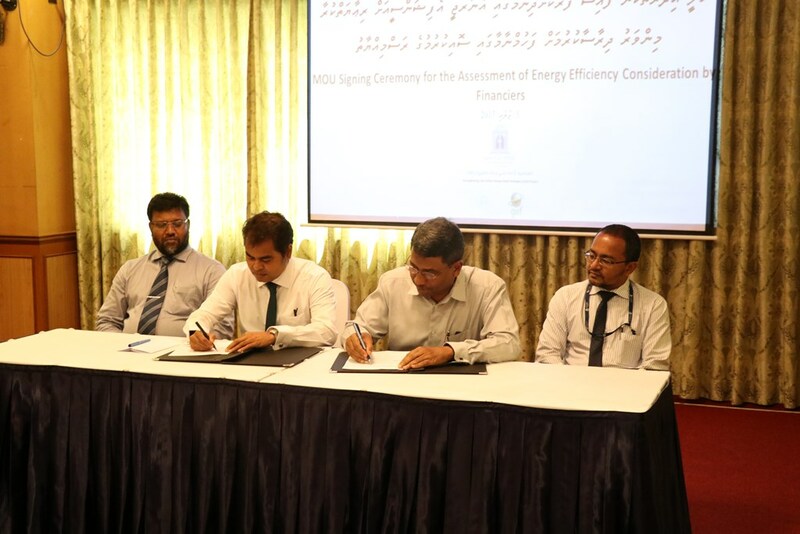 A Memorandum of Understanding (MoU) was signed on 5th July 2017, between the Ministry of Environment and Energy and the Maldives National University for the “Assessment of energy efficiency consideration by financiers”. 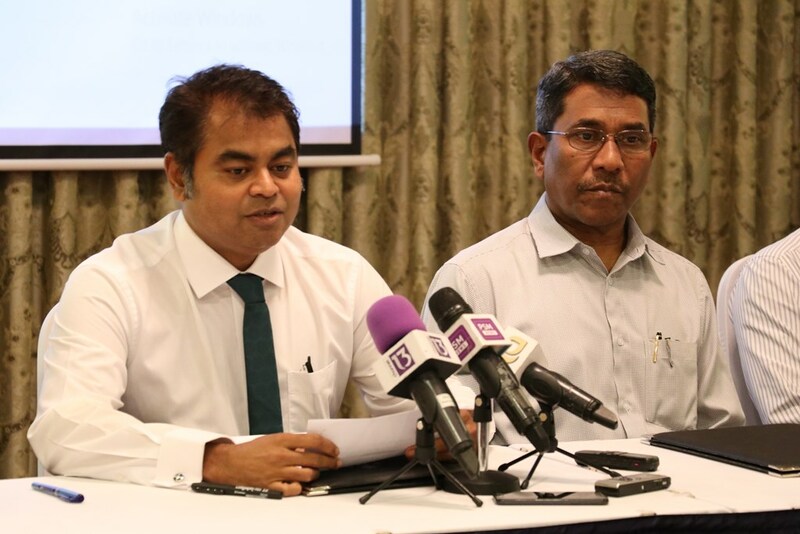 Minister of Environment and Energy Mr.Thoriq Ibrahim signed the MOU on behalf of the Ministry and the Chancellor Dr. Mohamed Latheef signed the MoU on behalf of the University. 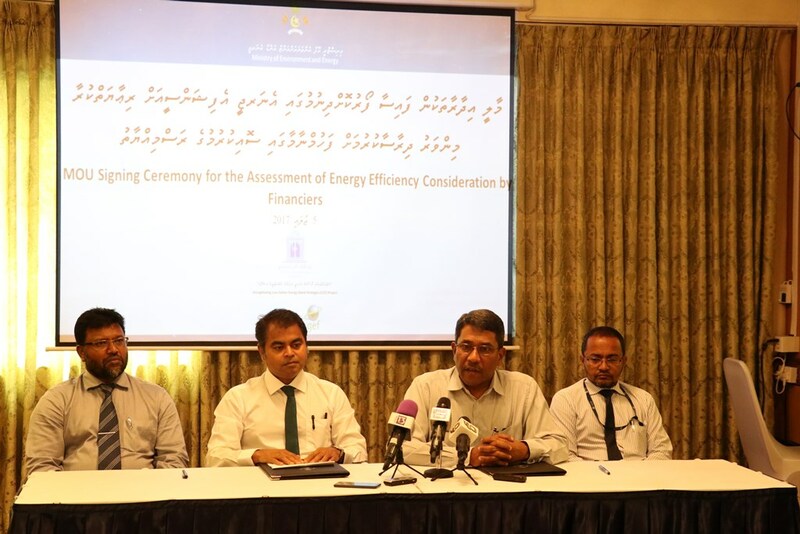 The objective of the MoU is to assess the considerations given for energy efficiency when providing finance by financial institutions of the Maldives and identify gaps to be addressed in financing energy efficiency initiatives. The activities of the MoU is supported by Strengthening Low Carbon Energy Island Strategies (LCEI) project in association with UNEP with support from the Global Environment Facility. Briefing to the media at the ceremony, Minister highlighted that, though the initial investment for Energy Efficient buildings and energy consuming appliances are high compared to less energy efficient alternatives, the running cost, and hence the life cycle cost of the appliance or investment is lower for energy efficient buildings and appliances, reducing their actual total cost. In Chancellor’s note he highlighted on the importance of such researches for the future developments of the country and he expressed his gratification for giving them the opportunities. According to statistics, globally, 30 percent of greenhouse gas (GHG) emission are from the buildings and 40 percent of the energy produced are consumed by buildings. This entry was posted on 05 July 2017 at 14:45 and is filed under events.